Although he officially retired from the Rolling Stones in 1993, founding bassist Bill Wyman hasn’t exactly led a quiet life of leisure in the meantime, having curated various pursuits in photography and prose while also leading a revolving cast of fellow trad-jazz and blues enthusiasts called the Rhythm Kings. Apart from all that activity, however, Wyman’s solo efforts (beginning with 1974’s Monkey Grip) have been few and far between. 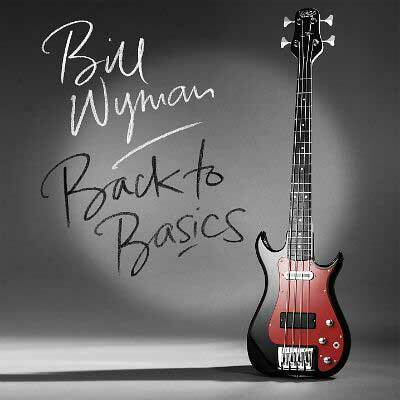 Indeed his latest, Back to Basics, is his first in 33 years. The album finds the 78-year-old rock legend embracing a stately, intimate mood throughout as if engaged in a confidential conversation or, in other moments, solitary reflection. Wyman’s singing voice, with its whispery resonance (which with age now sounds like a cross between Robbie Robertson and latter-day Nick Lowe), suits its twelve songs like a well-worn winter coat. In light of Wyman’s primary instrument and in contrast to the strident pulses he once meted out on Stones classics like “Under My Thumb” and “Miss You,” it’s worth noting that the grooves he generates in the most rhythmic moments here are, while less-pronounced — such is the subtle thrust of “She’s Wonderful” and, especially, “Stuff (Can’t Get Enough)” — no less present. Overall, though, the emphasis is more on the stories these songs tell rather than on any particular displays of technical prowess or pageantry within them.